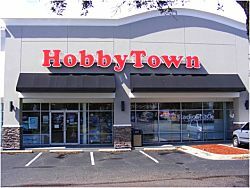 HobbyTown store for sale in Pensacola, Florida. 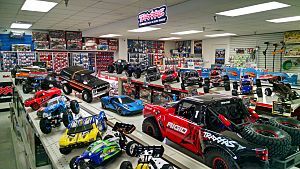 HobbyTown Pensacola has been in the current location for 12 years. The Store is ideally located in a strip shopping center next to a Walmart Supercenter. This is an great opportunity for a new owner with managerial, organizational skills and the drive to do all it takes to succeed. No previous experience is required as there will be full training and home office staff onsite during the transfer process. In addition to the asking price there will be a transfer fee. The current owners also have a HobbyTown in Tallahassee and they live there as well. They want to concentrate on one store and not have to commute to Pensacola. HobbyTown was established in 1985 and are recognized as the national leader in the hobby and specialty toy market. Our engaged owner community works with the Home Office to develop many of our best marketing programs and assist in the discovery of our best selling items. This includes our partnerships with AMain and RadioShack. 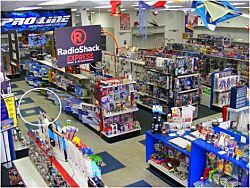 HobbyTown stores carry a very diverse selection of merchandise catering to the STEM, RC, collectable and general interest categories in hobbies. The Home Office supports store owners with services like Proprietary Point of Sale, Marketing, Graphics, Buying, Warehouse, Merchandising, Staff Training, IT Support, Real Estate, Demographics and much more. HobbyTown has over 130 locations in 39 states.HobbyTown is a unique retail store with an online presence. As the leader in the retail hobby and specialty toy industry. Our Franchise Owners take pride in providing unparalleled customer service, achieving higher than industry average inventory turns and retail sales per square foot. In our stores and online, we are constantly testing new products and technologies to increase sales. We grow through innovation, and our Franchise Owners are empowered to explore new product ideas and make independent buying decisions. To find out more about this HobbyTown franchise for Sale please fill in the form below and submit.